One of our favorite Rainey Street restaurants, G’Raj Mahal, yesterday publicly announced plans that they would be setting up a second location at 73 Rainey Street. The Graj is sooo excited to announce a second site in progress. The trailer remains but we have long out-grown our kitchen demands and plan to expand just down the street on Rainey. It’ll mean faster service!!! and we will get to finally cook up some new things, too! Below is a picture of the property they are expanding into. It’s on the east side of Rainey Street, next to the leaning house, two doors north of Javalina. We’re wondering if they are going to end up moving all of their operations to 73 Rainey, and if the existing 91 Red River (at Davis Street) will be assembled into a larger development. That’s just us speculating. Most importantly, I would love to see the Austin Bike Zoo remain part of the vibe. Sidney also said that, depending upon city approvals and funding, they hope to have the new location up and running by the new year. For a detailed review of the original location, including more pictures, the menu, and other important information about eating at G’Raj Mahal, be sure to checkout DAB’s review of G’Raj Mahal in Austin. Developers of the Whitley have launched their marketing website for the forthcoming 16-story, 266 unit downtown Austin apartment high rise. AustinTowers broke the news in July that the apartment building, currently under construction in the Railyard District, would be branded as “Whitley” – a hat tip to the Whitley Paper company that used to occupy the site. On the new website, we learn the 6th floor will host a mezzanine level pool deck. The website also reveals certain amenities that suggest the building is targeting luxury apartment renters, by including a “Dog Park with Artificial Grass and Dog Washing Machine”, “Guest Suites Available”, and “Oversized Private Garages Available”. Make sure the checkout the construction timelapse video. The Whitley’s site plan includes 10,000ft of retail space at the ground level. CBRE is handling the commercial leasing with retail space being quoted at $36ft NNN. Completion should be Q2 2013. 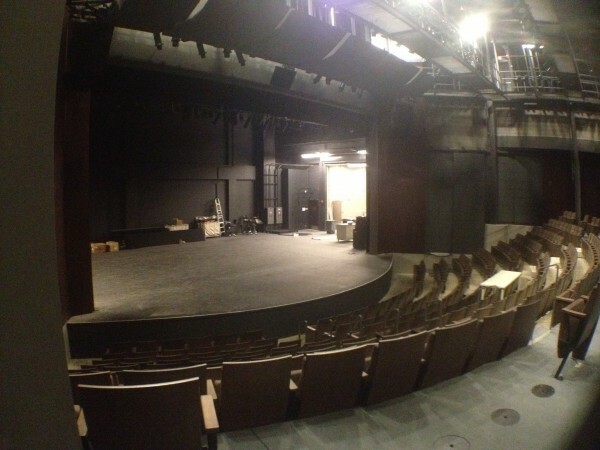 I was lucky enough to be invited to a personal tour of ZACH Theatre’s new mainstage, The Topfer (pronounced top-fur) Theatre earlier this week. 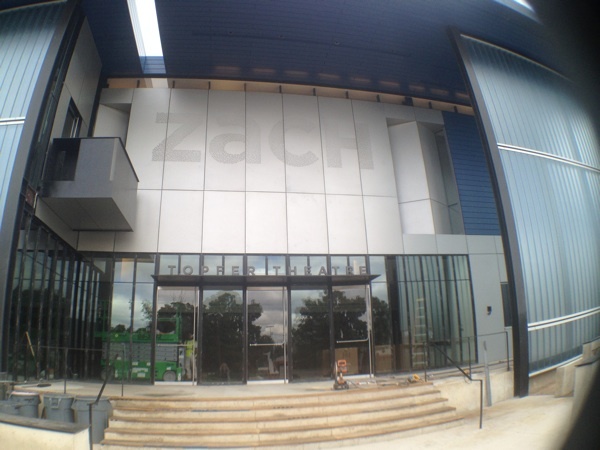 This theatre allows ZACH to truly make the jump from a small professional theatre to premiere regional theatre by providing a new, state of the art performance facility as part of downtown Austin’s already growing culture and arts scene. 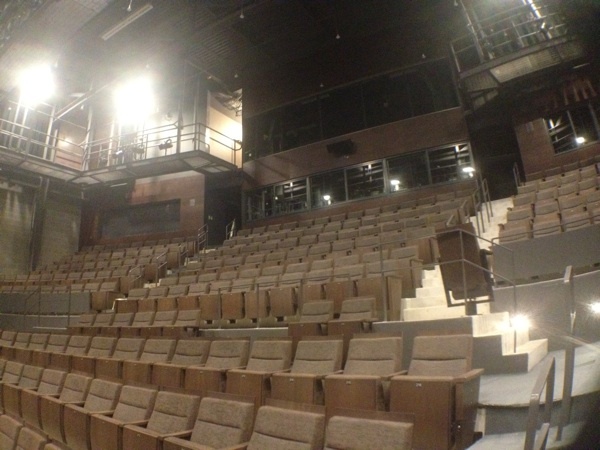 Downtown Austin needs a real regional theatre, and this structure and the excitement it will bring to the theatre and arts community is a huge step in the right direction. Per an article in the Austin Chronicle (link) – ZACH Theatre had been contemplating building a third theatre in its complex as early at 1985, when they held over some funds from that year’s bond election to help fund building a third theatre. In 2000, the economy stalled, putting the project on hold, but, through a kick-start of funding of $10 million through the 2006 City of Austin bond election, and then fueled by direct private donation – the project was revived in 2007. Overall, it’s a $22 million project, and they still need to raise about $2 million for completion. 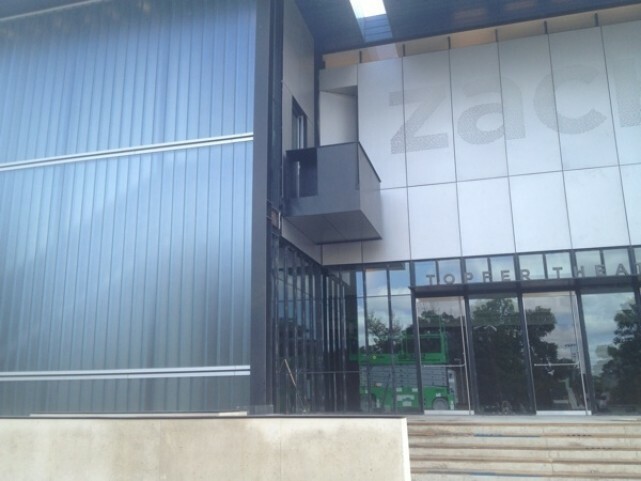 The ZACH Theatre compound falls within the Zilker Neighborhood Association, but it is easily accessible to downtown Austin condos and homes and, really, feels like a part of downtown to many. I was told the ZNA was supportive the variances Zach Scott needed to build the Topfer Theatre. As a college Theatre Major and all around theatre nerd, I was soooooo impressed with the Topfer Theatre and Kuykendall Stage. The AC and other mechanical components of the theatre have a separate foundation from the stage – this is to minimize any possibility of noise and rumbling during performances. Now, for the good stuff – the pictures (please note that the theatre is still having final touches done to it – not fully finished yet)! 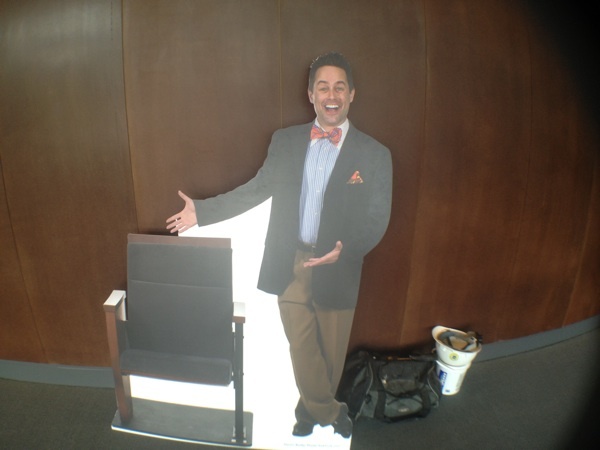 The beloved Martin Burke welcomes you! 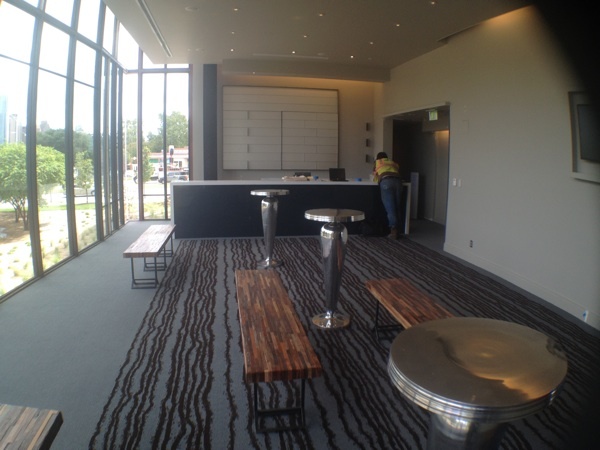 The first floor lounge, where they will have a full bar and concessions. Wow. I can’t wait to see a show here. The magnificent house of the Topfer Theatre. I die. 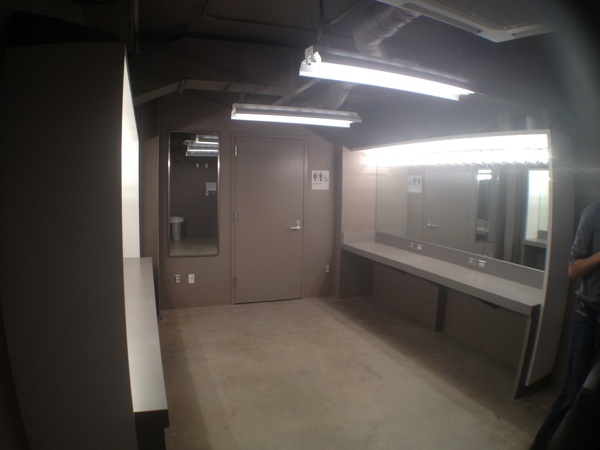 One of 4 actor dressing rooms. Nice digs. This is where the two foundations in the Topfer Theatre meet. 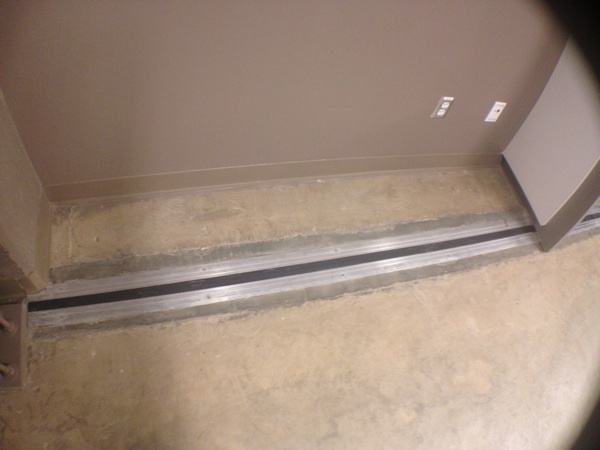 To reduce any possibility of noise interference during productions, the theatre has all of its clink and rumble-prone machinery put on a separate foundation. 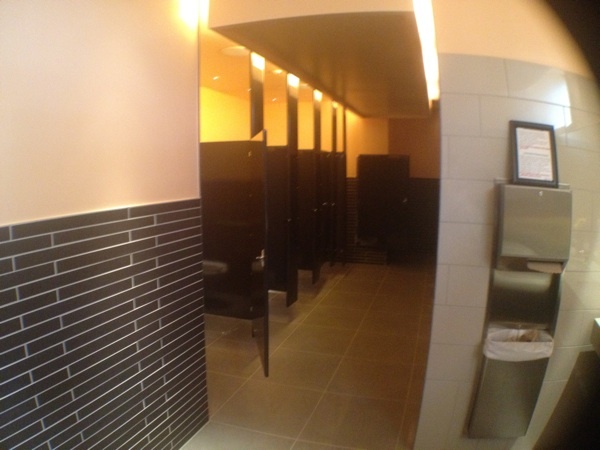 The women’s restroom at the Topfer Theatre. Quite an upgrade from the old theatre! 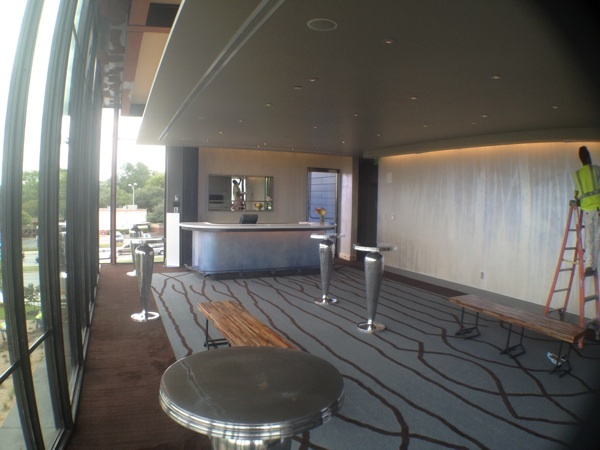 Another view of the sky lounge. 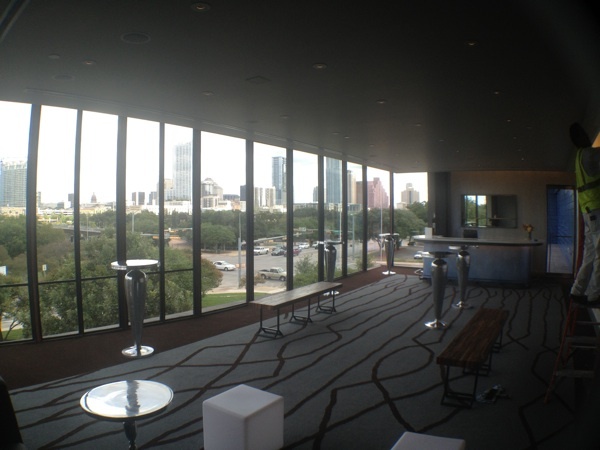 The interior of the 2nd story sky lounge in the Topfer Theatre. The view from the 2nd story sky lounge at the Topfer Theatre. At night, it’s supposed to be even more incredible. Imagine sipping a cocktail with this view! Be on the lookout for performance of famous balcony scenes to happen at this exterior, front-facing balcony of the theatre. I’m also told that the balcony will actually end up being made of glass, rather than the metal pictured here. For more incredible pictures and theatre fun facts – check out Bryan Kosarek’s Gay in Austin Texas Blog. 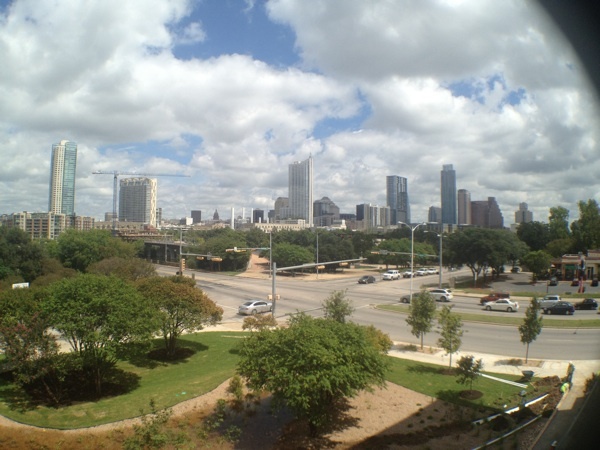 Interested in searching for Austin homes for sale in or near Downtown Austin? Be sure to check out our property search to view Austin homes for sale. Being active is a part of the Austin lifestyle. There are tremendous opportunities in downtown Austin for folks to be active, too. Here at Downtown Austin Blog, we’ve written about several things like dance classes at Ballet Austin and personal training in downtown Austin – but we haven’t really explored a lot of downtown gyms, of which there are several. Probably the most popular among the trendy set is Pure Austin downtown, right across from Whole Foods at 5th and Bowie. I have several friends who have memberships there, and they love it.